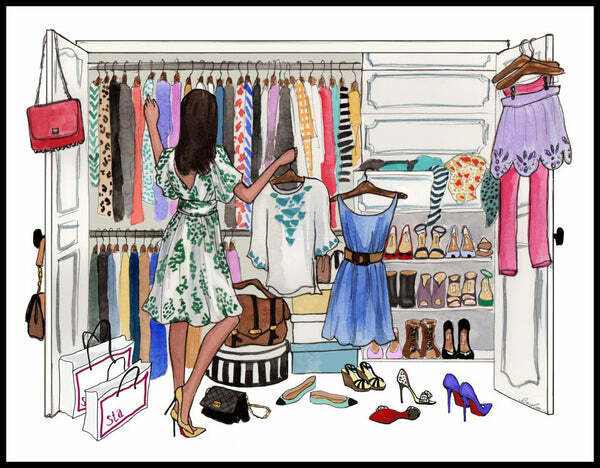 One of the first thoughts that enters all of our heads on a daily basis is the age old question of what should I wear? You have a wardrobe full of clothes, many of them probably barely worn, yet day after day you struggle to pull an outfit together. The problem for most women is that they tend to buy a lot of fast-fashion clothing that dates very quickly, rather than investing in key quality pieces they can wear time and time again. This little daily problem made the ladies here at Jia Collection headquarters think: If other industries are working on products to make our lives easier, then why shouldn’t fashion do the same? At Jia Collection we are always trying to make your life easier when it comes to dressing, packing light, creating more closet space, and saving time (these are just some of the benefits of our clothing… see our “10 benefits of reversible/multifunctional clothing” for some more great ideas). We like to create unique, classic and sophisticated styles with a modern twist. The aim of our designs is that they remain timeless, are easy to style, and will offer different options for you, our beautiful customers. Rather than creating throw-away fashion, we love to create investment pieces that you can truly wear time and time again. Take for example our reversible PERLA cardigan. With a classic white material on one side and a sheen camel hue on the reverse, it is versatile enough that you can wear it as a little cover up on a date or to an evening event. It will also look amazing on a Saturday afternoon worn over some jeans for shopping and cocktails with the girls. Fast-fashion has led to clothing becoming disposable because these materials are not made to last. Our clothing is made with luxurious materials such as mohair, cashmere and leather that are guaranteed to last for years. We also aim to make every single one of our garments reversible, so you truly get the most value for your money. It’s all about having fun and playing around with different ways to wear clothes that fit your personal style! The best thing about our reversible clothes is that when you are packing for a trip away, you are never going to over pack and you will always be guaranteed to maximize the amount of space in your suitcase because you have two completely different looks with just one item. So you will be able to look chic and stylish while still packing light(er). So our advice to you is to buy less and buy better, so you can start to build a closet of quality pieces that you will wear again and again. The pieces from the Jia Collection are sure to last and will allow you to have fun with your fashion choices by easily creating a number of new looks with the same piece.